← What explains Harper’s slavish support for Israel? 10 Asked in Parliament, he refused to call for Nelson Mandela’s release from prison. 9. He had Canada deliver weapons to the French to put down the Algerian and Vietnamese independence movements. 8. The Kennedy administration helped Pearson win his first minority government. 7. He incited individuals to destroy a peace group after it called for the outlawing of nuclear weapons. 6. Pearson backed the CIA coups in Iran and Guatemala. 4. Pearson threatened to quit as external affairs minister if Canada failed to deploy ground troops to Korea. 3. He agreed to have Canada’s representatives to the International Control Commission for Vietnam spy for the US and deliver their bombing threats to the North. 2. The world’s leading intellectual, Noam Chomsky, considers Lester Pearson a war criminal. 1. Stephen Harper’s foreign policy resembles that of Pearson more than any Liberal would ever admit. 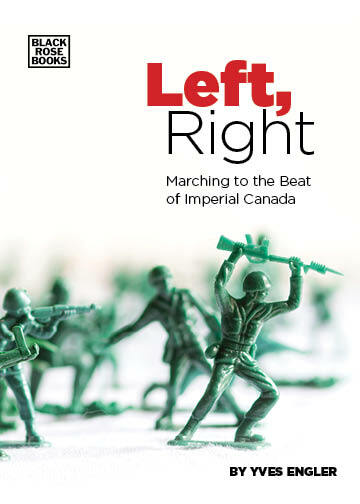 Lester Pearson’s Peacekeeping — The Truth May Hurt, published by Fernwood, is now available for sale at Turning the Tide Books.